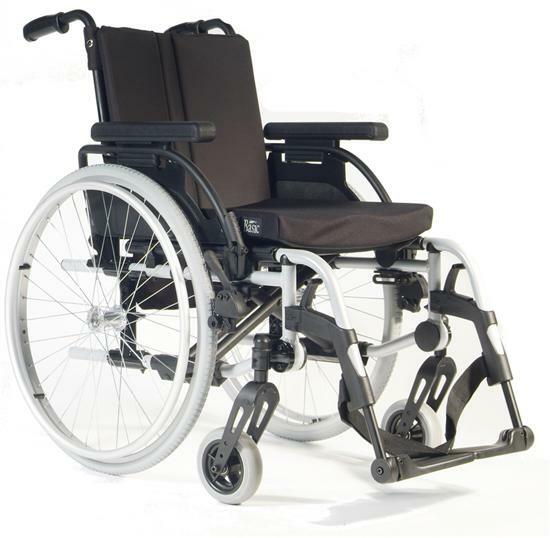 Breezy Rubix Self-Propelled Adjustable Wheelchair. Armrest length and height can also be adjusted, and you can even change the chair's centre of gravity by up to 5cm. It's great for more active users who sometimes want a stronger propel or better manoeuvrability. There are unilateral brakes and one-arm drive. Making adjustments to a Breezy Rubix wheelchair is quick and easy. The strengthening crossbar doesn't have to be removed when it is folded and snaps back into place when the Rubix is unfolded again. This fantastic wheelchair has been crash tested against the ISO-7176-19 standard. The transport weight is under 10kg.